/Get Started with hutbay /Can I add a user to company account? Yes! You can and you should. Login to your hutbay account. Click the ‘Admin’ link on the left sidebar. You will see ‘Users management’ link on the top sub-bar. Click the link. 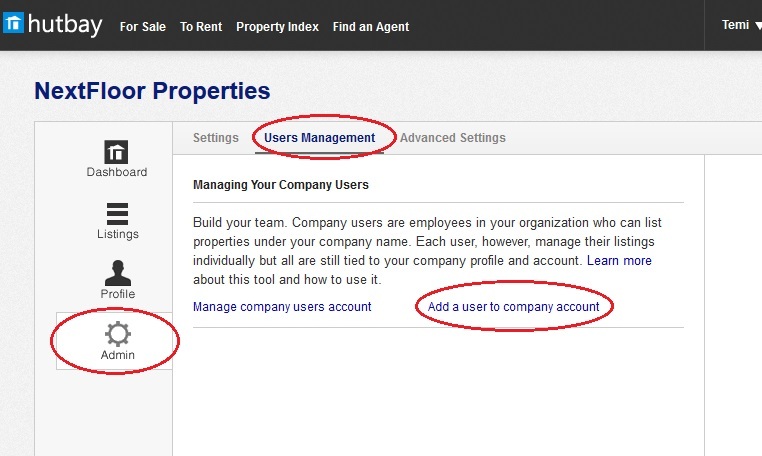 On the page displayed, follow the link: ‘Add a user to company account’. 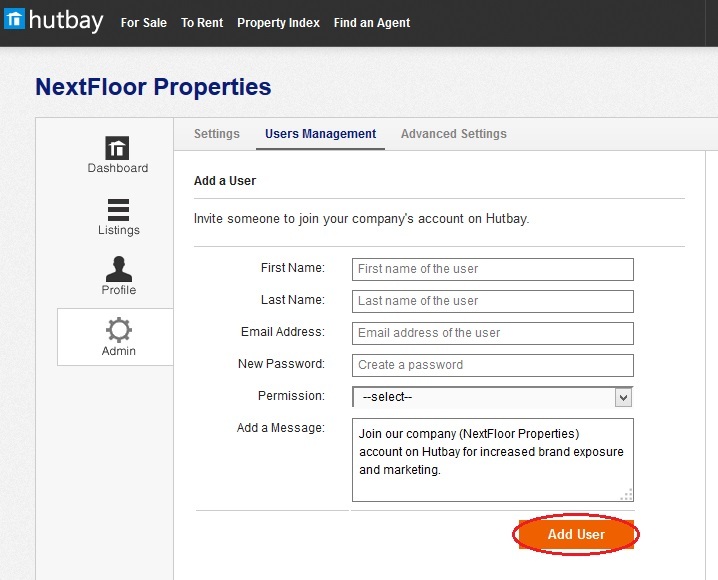 Fill the form displayed: enter the user’s details, select permission and remember to hit the ‘Add User’ button.